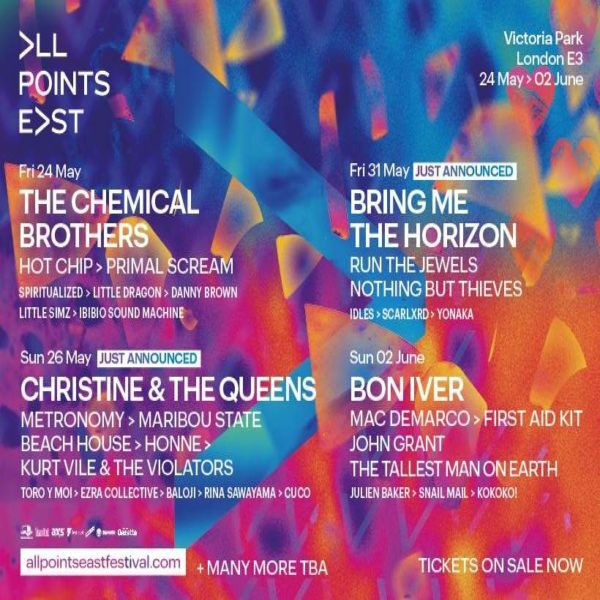 London’s massive All Points East Festival has begun announcing the lineup for its 2019 festival season. All Points East is one of the largest music events in London each year, spanning two weekends instead of only a single one like most music festivals. This year the festival will take place on the weekends of May 24-26 and May 31- June 2. Both of these weekends are sure to be full of amazing acts and performers; those announced so far are already proving the All Points East 2019 festival to be a fantastic event. The performers who have been revealed so far include singer songwriter Bon Iver, the rap duo Run The Jewels and avant-garde pop group Beach House. The wide range of diversity shown in these acts means that fans of all types of music are sure to find something they will love at the All Points East Festival. Bon Iver is considered by many to be the pinnacle of the singer songwriter craze of the early 2000s, with his soothing voice and dynamic lyricism carrying him to the forefront of the music scene throughout his career. 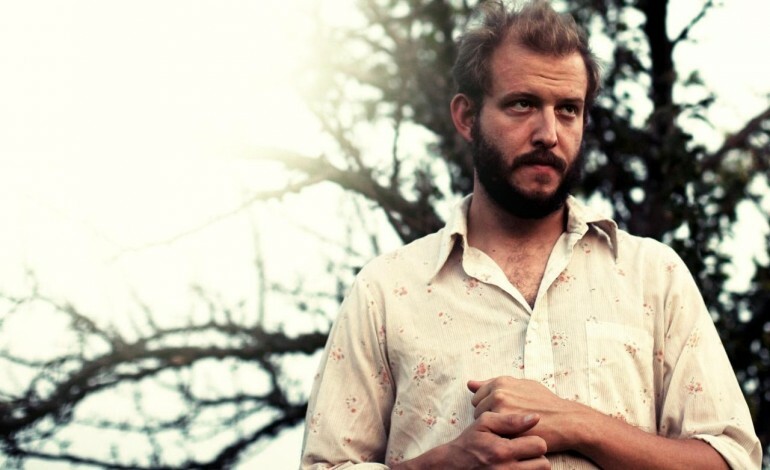 Songs such as “Skinny Love” and “Holocene” shot Bon Iver to the top of the charts and cemented his place in the music industry. Bon Iver’s newest album was his 2016 project 22, A Million, which brought fans powerful tracks such as “33’GOD’” and “29 #Strafford APTS.” This album was a wonderful showcase of Bon Iver’s talents and was well-liked by both fans and critics alike. His performance at All Points East festival is sure to be one of the highlights of the festival. 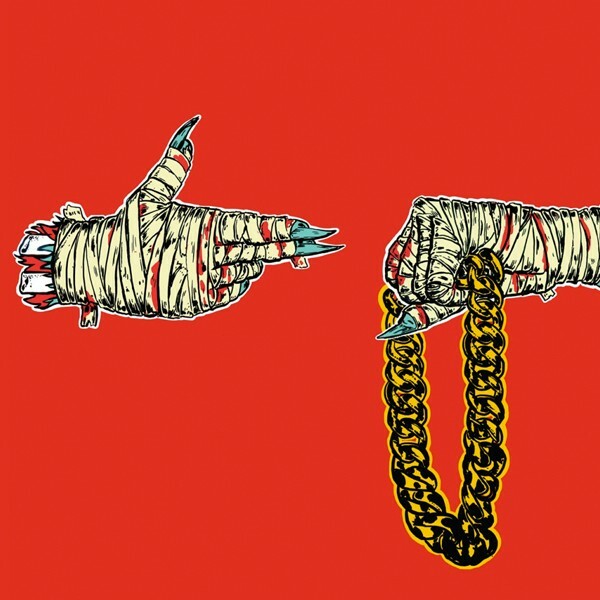 Another major act set to perform at All Points East is the iconic rap duo Run The Jewels. Made up of rapper Killer Mike and rapper/producer El-P, this duo has taken the experience each had under their belts to create a unique experience and distinct sound. For the past two decades both Killer Mike and El-P have made names for themselves in the music industry, but their biggest success so far has been their trilogy of albums as Run The Jewels. Run The Jewels I, II and III exposed the politically charged lyricism of both members and the chemistry they have together to a wide range of audiences and gave the duo a large fan base very quickly. Songs like “Banana Clipper,” “Run The Jewels” and “Sea Legs” from Run The Jewels I quickly proved to the hip-hop community that together these two were a force to be reckoned with. As time went on, the group gained even more acclaim for songs like “Call Ticketron” and “Oh Mama;” recently creating the song “Let’s Go” for the Venom movie soundtrack. Run The Jewels always puts on an amazing show for any fan of hip-hop music. Finally, the indie band Beach House will also be performing at All Points East. Known for tracks such as “Space Song” and “Myth,” the group made a name for themselves as one of the most prominent dream pop groups in recent years. The group’s 2018 album 7 was widely regarded as some of the bands best music, and by many to be one of the best albums of the year. Fans of more alternative and indie music are sure to find their set at All Points East to be one of the best of the festival.